Usually the teams and drivers use Free Practice 3 as a simulation for qualifying later in the day. That gives everyone an idea of who is quick. But everyone would have to wait for that information until qualifying itself in Bahrain because FP3 took place in the heat of the day while qualifying would be held in the relative cool of the evening. 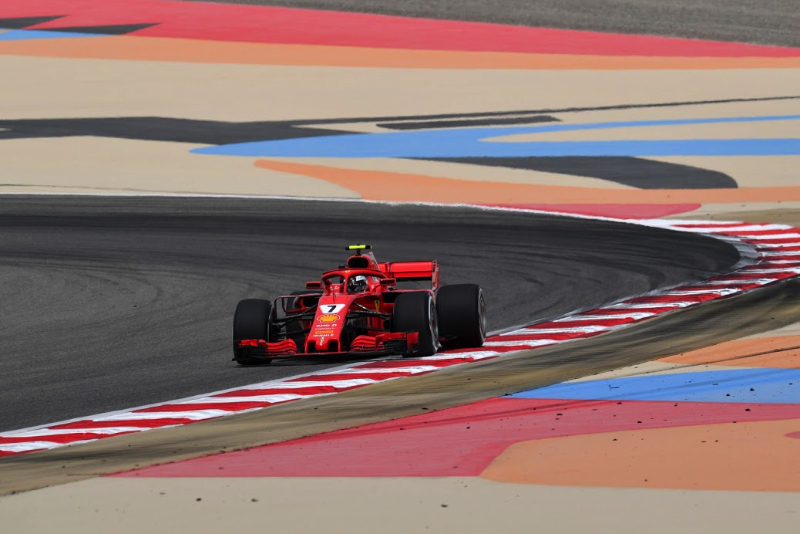 Yes, the best drivers/teams were still the best – with Ferrari's Kimi Raikkonen the fastest in the session – but the more detailed picture remained unclear. The line-up for the weekend was: Mercedes – Lewis Hamilton and Valtteri Bottas; Ferrari – Sebastian Vettel and Raikkonen; Red Bull TAG Heuer – Daniel Ricciardo and Max Verstappen; Force India Mercedes – Sergio Perez and Esteban Ocon; Williams Mercedes –Lance Stroll and Sergey Sirotkin; Renault – Nico Hulkenberg and Carlos Sainz; Toro Rosso Honda – Brendon Hartley and Pierre Gasly; Haas Ferrari – Romain Grosjean and Kevin Magnussen; McLaren Renault – Fernando Alonso and Stoffel Vandoorne; Sauber Ferrari – Marcus Ericsson and Charles Leclerc. Raikkonen had been quickest on Friday when he posted a 1:29.817 in the evening session using Pirelli's super soft compound slicks. "It's only Friday," he said after FP2, "and it's impossible to say what everybody is doing but it was not too bad. I'm sure there are things we've got to improve but it's a normal Friday, when you try things, you test them and you try to learn from everything. It wasn't too bad." The ambient temperature at the start of the 60-minute FP3 session was 86 degrees Fahrenheit (30 degrees Centigrade) and the track temperature was 102 degrees Fahrenheit (39 degrees Centigrade). There was zero percent chance of rain. Nobody was all the hot to trot, however, and other than about half the field doing install laps nothing happened in the first part of the session. These were not the type of track conditions the drivers would have to deal with during qualifying in the evening or the race at night. Finally, after about 20 minutes, some drivers began lapping including Bottas who topped the times with his 1:30.781. Hamilton, who will get a five-place grid penalty for a new gearbox, slotted into second after clocking a 1:30.964. With just 21 minutes remaining in FP3, Vettel edged ahead with a time of 1:30.719 using the super soft Pirellis. The other two compounds available were the medium and the soft. A few minutes later Raikkonen used the supers to grab the top spot with a time of 1:29.868. Raikkonen, Perez, Hartley and Gasly rounded out the top six halfway through the session. Next, Hamilton moved back into second place albeit 0.823 of a second off Raikkonen's best. With just three minutes remaining, Verstappen did a 1:30.393 to displace Hamilton. Then Ricciardo jumped to third after setting a 1:30.452. The top 10 at the end of FP3 were: Raikkonen, Verstappen, Ricciardo, Hamilton, Vettel, Bottas, Hulkenberg, Sainz, Gasly and Alonso. Would that be the same top 10 at the end of qualifying? Everyone would have to wait for it.